Here in Enerdynamics’ Laporte office we can see the smoke from the High Park Fire – reportedly the third largest wildfire in Colorado history – as it burns in the hills west of town. And sadly, we know that at least a thousand homes and ranches lie nestled in the once beautiful meadows and hills that are now either consumed or threatened by flames. We also know that these residences receive electric service from our local rural co-op. 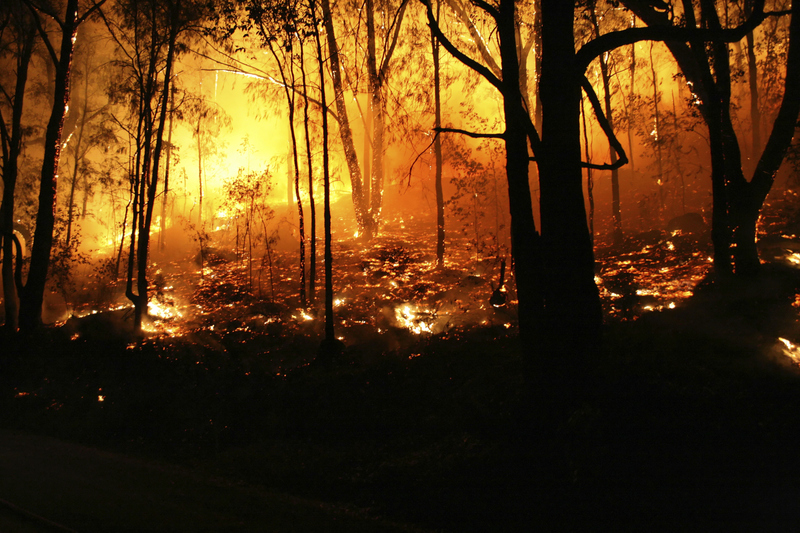 Such events raise the question of how utilities respond when wildfires devastate the landscape. The answer has both short-term and longer-term components. First comes emergency response: Once reports of a fire are received, the utility must determine where the fire is and where it is likely to move. As quickly as is possible, the utility must then de-energize all electric transmission and distribution lines, and, if gas service exists, shut off gas flow into the affected area. 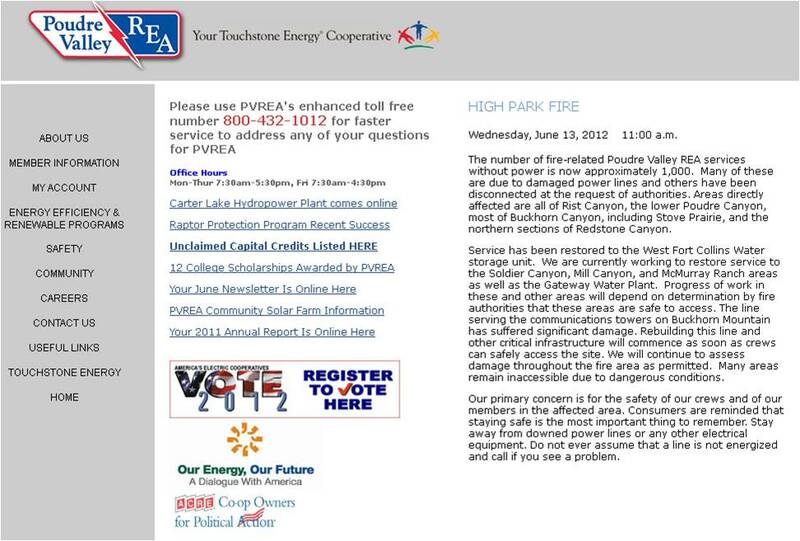 This can be difficult because the utility wants to minimize the number of customers shut off from service but wants to be sure it gets all lines or pipes in the path of the fire. In some cases the utility has remote capabilities to de-energize facilities, but in some cases it may require personnel in the field to manually pull a switch or turn a gas valve. This requires close cooperation with firefighting agencies to ensure that utility personnel can enter an area safely. If not, a larger area will have to be de-energized even though it will inconvenience other customers. After all, safety is the highest priority. Why is it so important to cut off power and gas in the area of a fire? Distribution poles can burn and fall, causing electric lines to contact the ground. This can cause new fires to break out, but even worse can cause significant danger to firefighters in the area. In fact, there is an unconfirmed story being told that a fire crew rushing to protect a home in the High Park area got separated because a live distribution line fell between two groups of firefighters and they all knew better than to try to cross a live line. This fire spread so quickly that it moved into a rural neighborhood before the utility company could respond. And gas lines, if there is a leak, can result in even more intense fire or even explosions. So after the power or gas has been shut off, what comes next? That’s when utilities simply have to wait until the fire crews can do their work and make it safe for utility crews to go back into an area. Utilities tend to work very closely with fire authorities so that areas can be entered safely and as quickly as possible. When they can get in, they will first focus on any critical loads. In the case of the High Park Fire these included water pumping facilities and a key communications tower. Each line must be physically inspected for damage and all protective equipment must be tested. Then damage must be repaired. In some cases, temporary facilities can be installed to restore service more quickly. But before lines can be re-energized, each customer facility must be checked to determine whether it is safe to restore power or gas. As you can imagine, checking and repairing facilities can be a time-consuming process. Throughout, the utility needs to stay in close contact with its customers and let them know what to expect and when to expect it. Finally, the utility must make longer-term facility repairs and upgrades to return the system to its optimal state. Prior to this, the utility will evaluate whether the system can be improved and made even more resilient to any future disasters. This entry was posted in Electricity, Natural Gas and tagged Colorado, Electric Utilities, Energy, Energy Education, Energy Training, High Park, High Park Fire, Natural Gas Utilities, Utilities. Bookmark the permalink.